Do you think it's weird that Mio was embarrassed sa pamamagitan ng her wardrobe malfunction at a concert, but her tabing-dagat swimsuit is way madami revealing? Did you feel sorry for Mio when she fell to the ground after pag-awit in public? 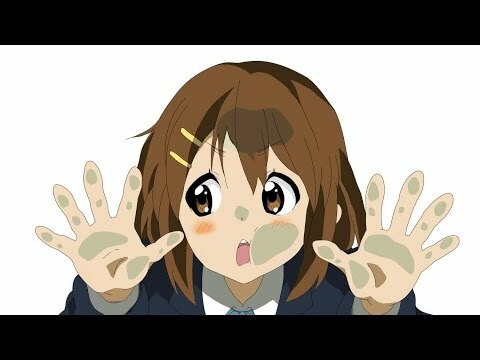 Which of my tuktok 5 paborito K-On! characters is your favorite? Does the ipakita have a villain? K-On! is a anime slice of life ipakita that stars 5 female teenagers who are in a band. The ipakita has become quite popular with fans of anime. Ritsu decides to start a music band. She is joined sa pamamagitan ng Mio, Tsumugi, and Yui. The 4 of them become close friends. Along the way a 5th girl named Azusa joins them. They start getting their music band ready as well as bonding with each other and playing around. K-On! is a ipakita that may lack a real plot, but the ipakita is saved sa pamamagitan ng its' cuteness which is brought to us sa pamamagitan ng the main characters. This listahan ranks the 5 members of anime's best band. I hope you enjoy the list. Ritsu is the leader of the band, but she appeals to me the least out of the band members. She's not as nice and charming as the other band members. She can be hard to stand when she gives Mio a hard time, but other than that she's a okay character. She's a tolerable character when she's not being disrespectful. col ritmo di questa canzone. asa wa "Ohayou" houkago wa "Mata ashita"
uwabaki nuida ashi chikyuu wo nanshuu dekiru? before i continue,i just want to say that im having a real hard time with this,why? basically its because i was still 'a kid' back then and didn't think things through :P but i vowed not to put this on hiatus cause when i read good artikulo that are like that i feel disappointed,and i dont want that. 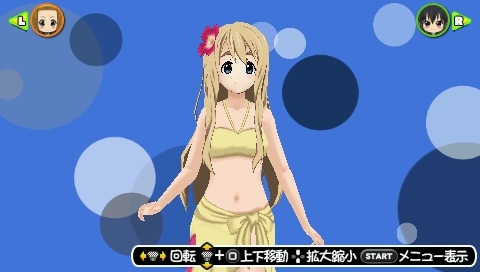 In the PSP game K-ON! Houkago Live!! Who will be giving you payo as you customize any character? Will there Be a K-ON Season 3?